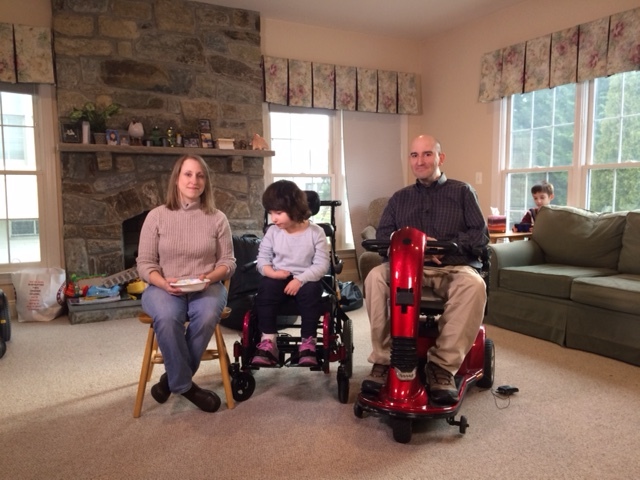 In Helping Hands Season 4, Episode 4 our story features April Crohare, a strong mother of two, who balances volunteering work at her son’s school, being a member of the PTA, and helps other local families with disabilities navigate through agencies, to obtain the correct medical products. She uses her experience to uplift and assist other people, and that we find to be, truly incredible! The Crohare family had an extension built on to the home, and it’s where Charlie spends most of his waking hours. The room has a wood burning stove that not only irritates Charlie’s respiratory system, but eventually caused a fire, – luckily no one was hurt. 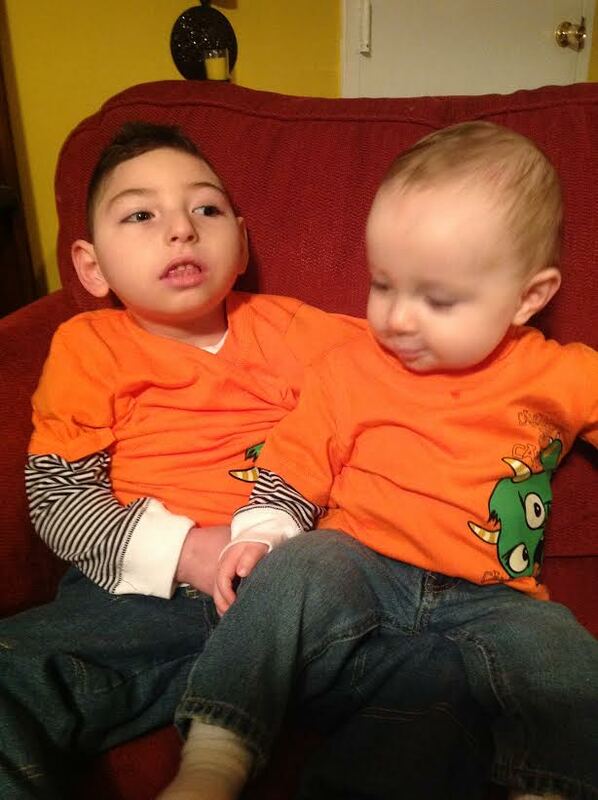 When the owner of Michael and Son, Basim Mansour, heard of Charlie’s condition, he knew we had to help. 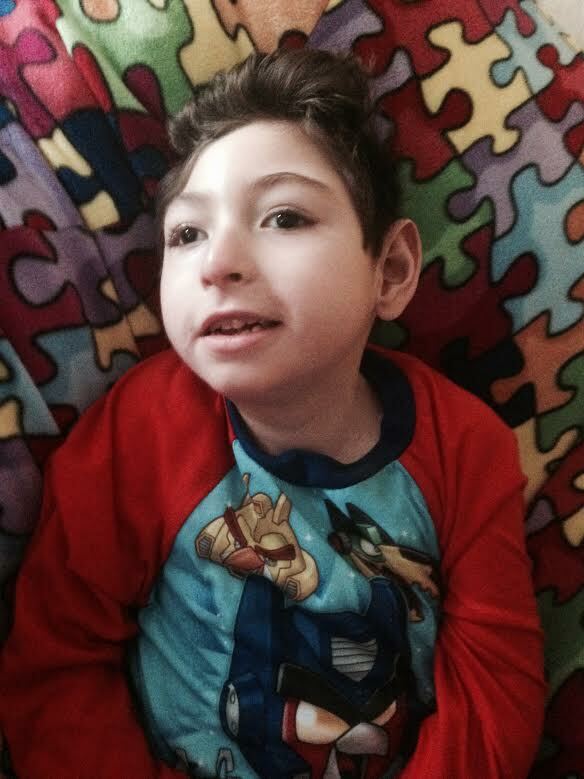 The HVAC department installed a mini split in the room, allowing Charlie to breathe much easier! We are so thankful to the people who donated their goods to Charlie, and helped to make this episode a true example of Helping Hands. Ahh Bean Bags – who donated a bean bag chair (below is an image of Charlie enjoying his chair), and to Go Bananas who generously donated a music board. April Crohare found out about the Michael and Son Cares Project after watching an episode of “Helping Hands.” She contacted our Project Manager, Shadi Tahrawi for help, and he was quick to get her information in front of our owner. 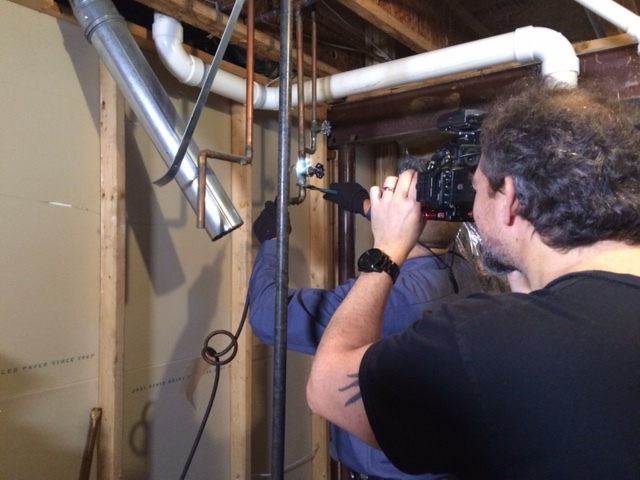 If you or anyone you know needs home repairs done by the way of: plumbing, electrical, heating, air conditioning – please contact Shadi at: shadi.tahrawi@michaelandson.com. 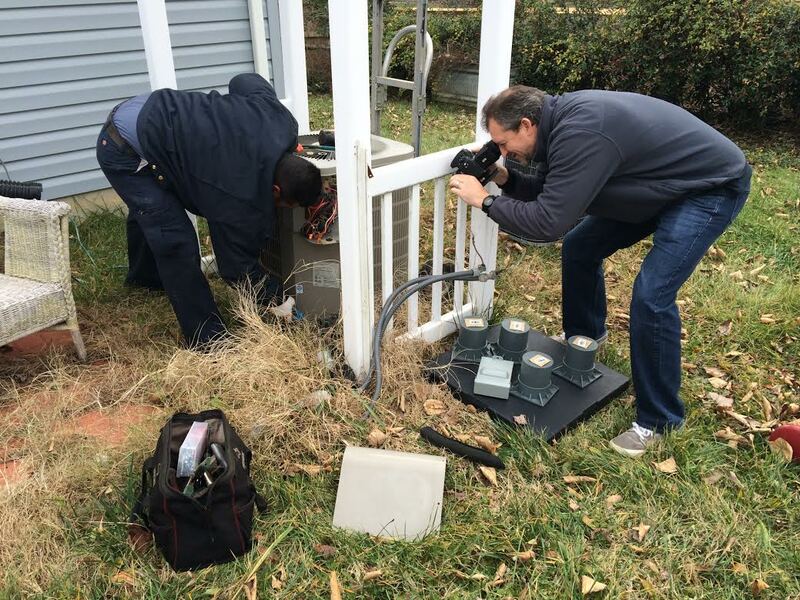 Tune in Saturday January 31st at 9am on NBC 4 to see how Michael & Son came to the aid of a family in need. 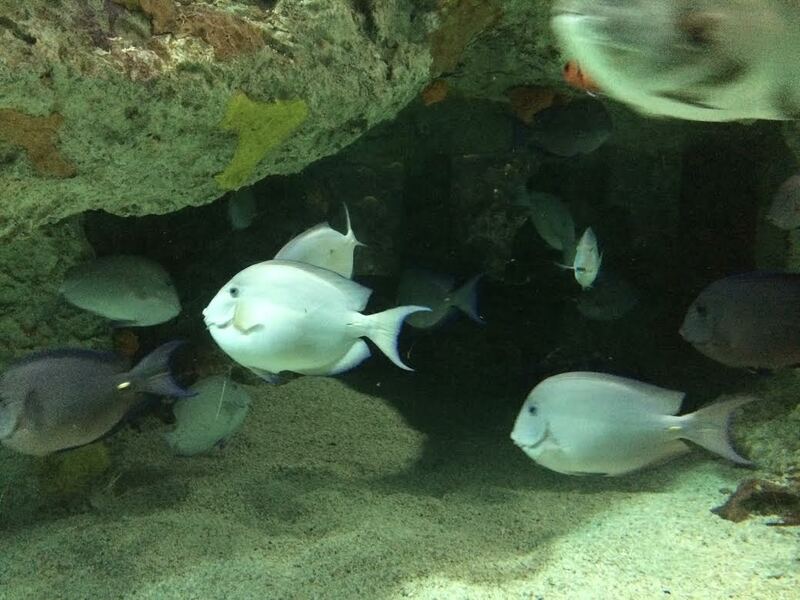 Family trip to the Baltimore Aquarium! 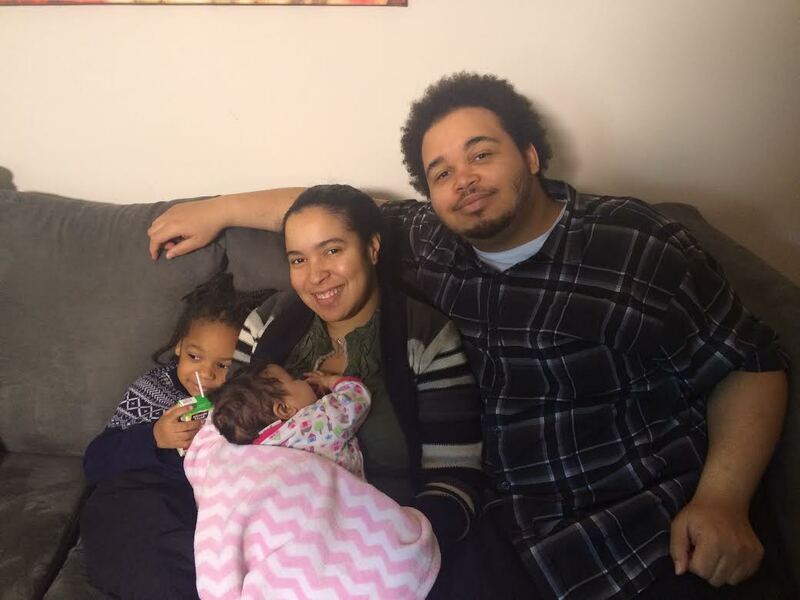 In Helping Hands Season 4, Episode 2 we showcase Monet and Greg Caldwell, a hardworking couple who recently had a young daughter named Skyler, the younger sister of adorable Noah Caldwell. Skyler was diagnosed with a thyroid issue at 2 weeks, and things have been really tough for the family to make everything work with their crippling medical bills, as doctors predict Skyler will need surgery at just 15 weeks old. 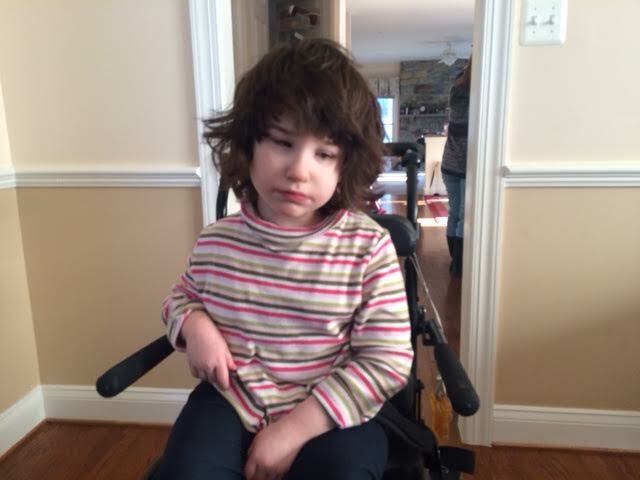 After Skyler’s diagnosis, doctors warned she was highly susceptible to infections because of thyroid complications, and further infections could lead to closing of her breathing passageways and possibly, subsequent death. Over the summer, the family’s HVAC went out, and Money Caldwell stayed strong without A/C throughout her pregnancy! Our owner Basim Mansour heard of this story, and knew we had to intervene. 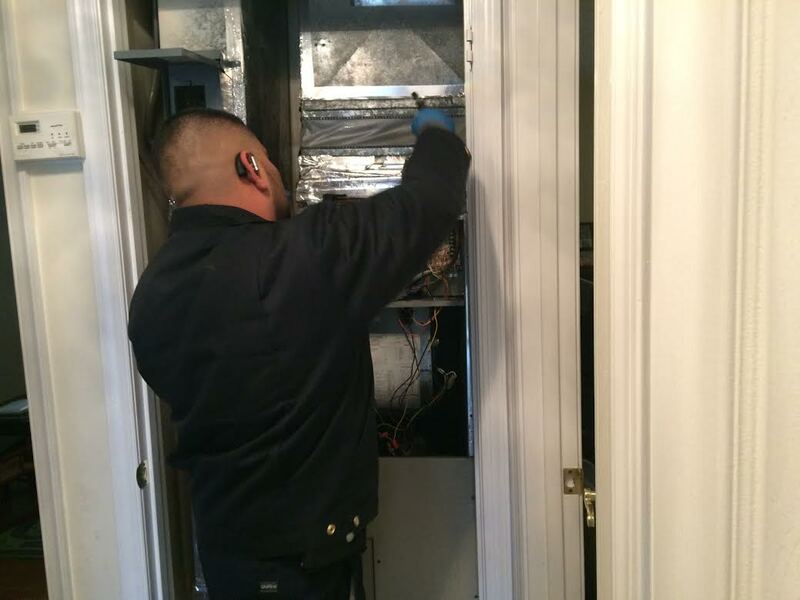 Michael & Son techs came in and saved the day with installing a brand new HVAC system! 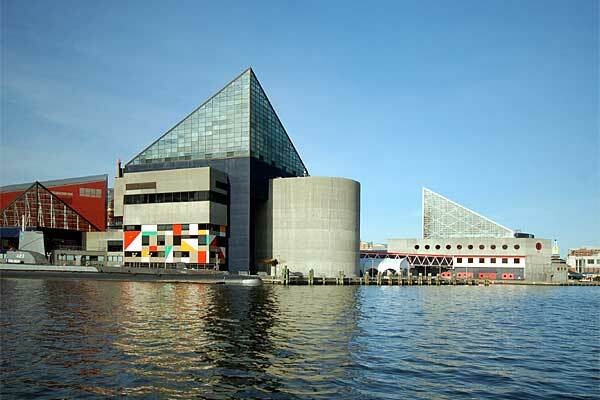 Afterwards, Michael and Son sent the family on a trip to the Baltimore Aquarium, complete with a dinner at the amazing Chart House restaurant in Annapolis, Maryland. If you would like to speak with Basim Mansour regarding the Michael & Son Cares Program, please contact Shadi Tahrawi at (571) 237-8209 or shadi.tahrawi@michaelandson.com. Media outlets are free to use the text, videos and images in any TV, print or radio media. Washington Capitals Mike Green, Surprises Fan! When Bobby Hick’s returned from the wars in Afghanistan and Iraq, he didn’t expect to face another battle. A devastating diagnosis of Leukemia left Bobby and his family wondering what the future would hold, or if he would have a future at all. Too add to the Hick’s family’s woes, their already problematic HVAC system and water heater gave out just as the winter season begun. 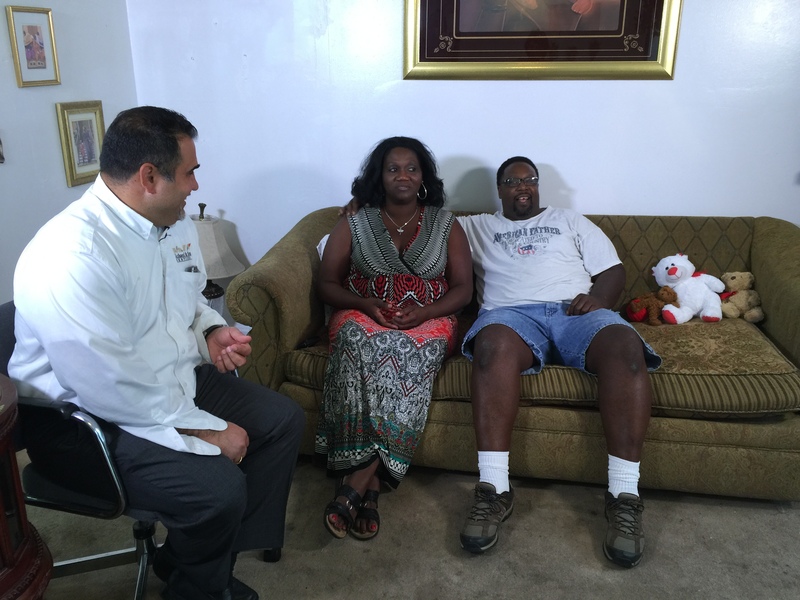 With no where left to turn, the family reached out to the Michael & Son Cares Program. “When the Hicks story was brought to my attention, I knew we had to help” said Basim Mansour, Proud Son & Owner of Michael & Son Services. “Here’s a guy who gave so much for his country and asked so little in return; I not only wanted to help them with their home repairs, I wanted to do something really special for Bobby. 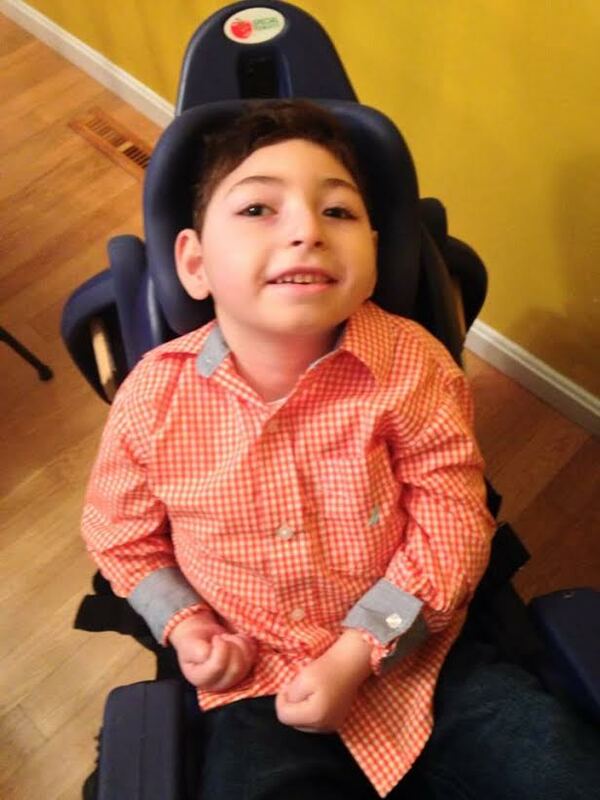 The Michael & Son Cares Program and The Verizon center had worked in conjunction to plan a special surprise day at a Washington Capitals game for Bobby and his family. When an extended stay at the hospital for intensive treatment foiled those plans, The Cares Program and Verizon Center decided to bring the Washington Capitals to Bobby. When Bobby Hick’s woke up Sunday morning he didn’t think he would be meeting his idol and star defenseman for the Washington Capitals, Mike Green. 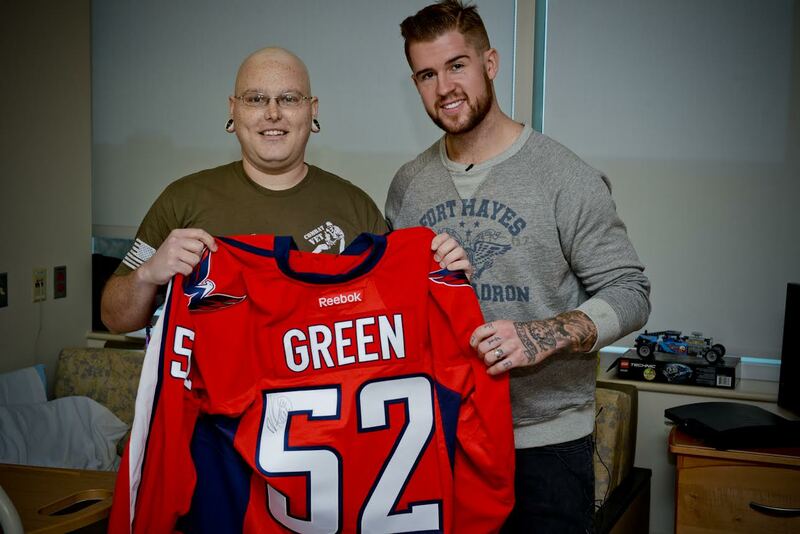 Taking time from his busy schedule, Mike Green surprised Bobby at Fairfax Hospital with a signed jersey and skates. It was a moment Bobby and his family won’t soon forget. Click here for a clip of this visit! New Season of Helping Hands! 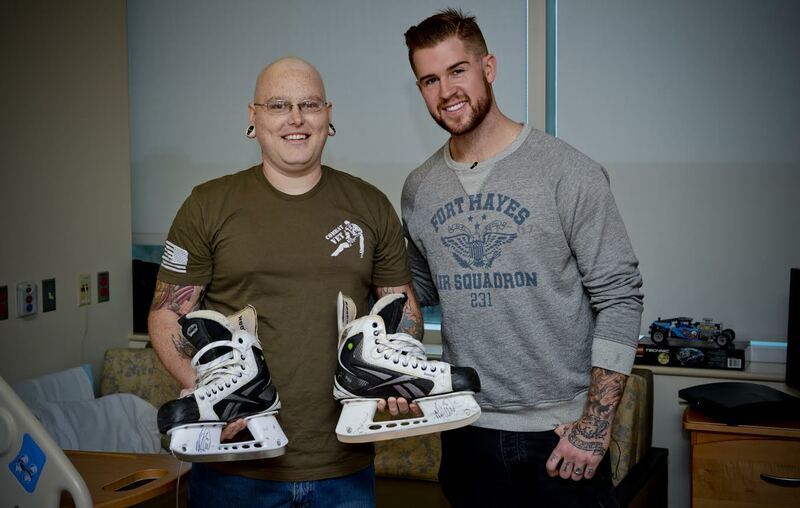 Our latest episode featuring Mike Green of the Washington Capitals, airs this weekend! Thank you so much to Monumental Sports, the Verizon Center, the Washington Capitals, and to Mike Green!